Motorbikes are cool. There’s no doubt about that. 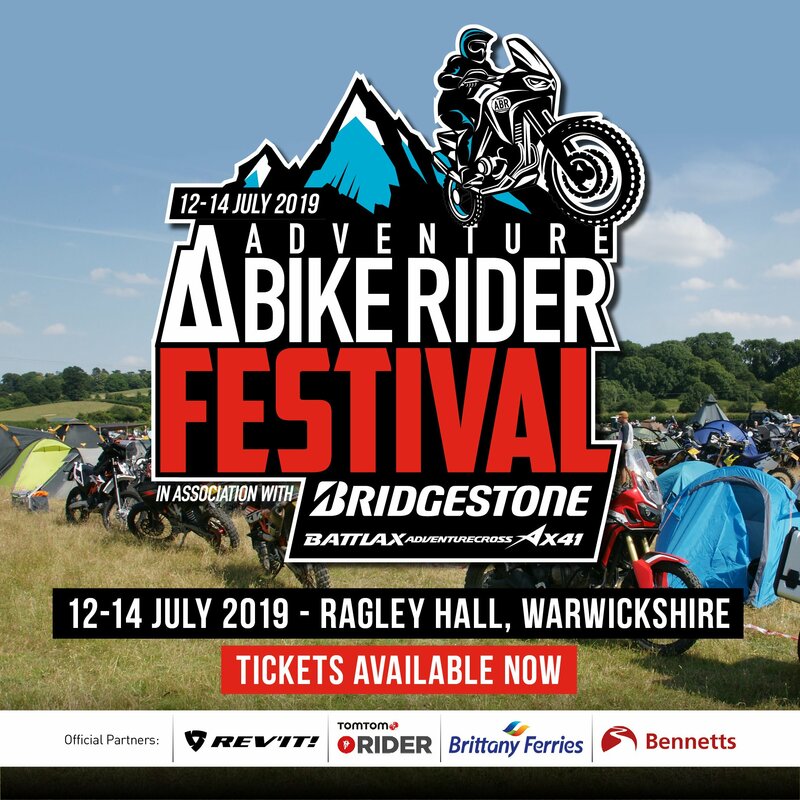 Taking two wheels to the open road and exploring what the world has to offer is a great feeling – it’s why we do what we do at Adventure Bike Rider. Now, imagine instead of setting off on your journey with a factory bike, it’s Arnold Schwarzenegger’s Harley from Terminator 2. We can all dream right? Well for some of us out there, the dream can become a reality. 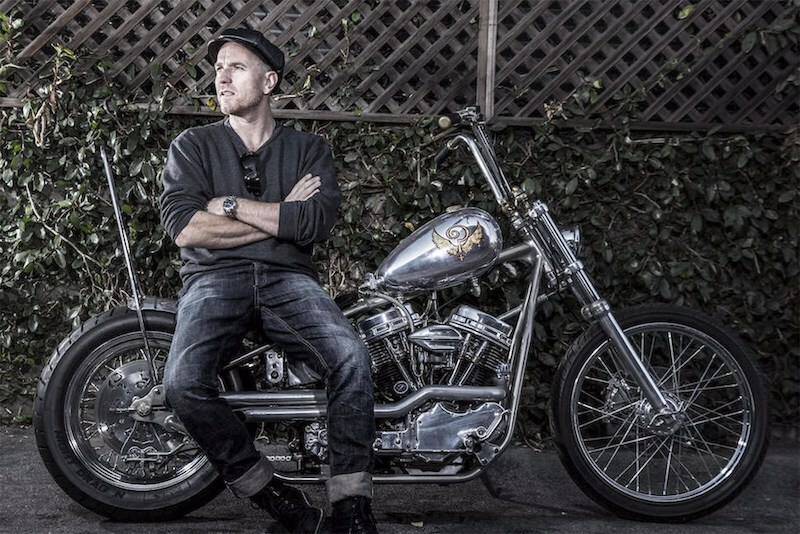 Whether they’ve come straight from a movie lot, or having been a star’s pride and joy that they’ve fallen out of love with, plenty of celebrity bikes have made their way to auction. We’ve previously looked at the 10 most expensive motorcycles to ever sell at auction, so for this feature we thought we’d dive into the world of celebrities and see how much of a difference having a household name associate with a motorbike really makes. No prizes for guessing that it does in fact inflate the price quite a bit. Regardless, we’ve partnered up with international auction house, Bonhams, to highlight five celebrity bikes sold at auction. For many people, Arthur ‘The Fonz’ Fonzarelli will always be the epitome of cool. Happy Days was a big deal during its run, and the idea of picking up your own ‘Pinky’ and riding off into the sunset was something that lots of us aspired to. Well, one lucky owner can now recreate this scenario nearly identically (maybe fully, if Roz Kelly agrees to be their passenger), as earlier this year Henry Winkler’s Triumph Trophy TR500 went on sale at the ‘Hollywood Legends’ memorabilia auction at Planet Hollywood, Las Vegas. Expected to sell for around $150,000, the motorcycle beat expectations and went for $179,200, making the previous owners go “Ayyyy!” all the way to the bank. Interestingly, Winkler struggled with controlling the motor-vehicle and more often than not could be seen stationary throughout scenes. He was also forced to wear a MacGregor golf jacket because ABC believed leather jackets too heavily associated with crime. Politics, eh? We all knew good ol’ Ewan was bound to turn up sooner or later. 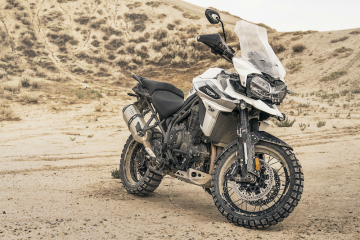 After Charley Boorman and McGregor basically kick-started the craze of adventure bike riding, it’s no surprise that one of his prized possessions took top dollar at an auction. 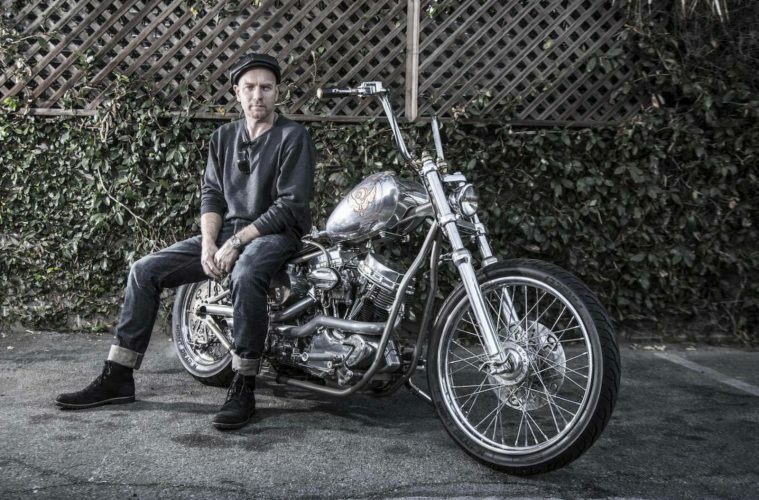 The custom-built Indian Larry has a Harley-Davidson Panhead-style Pandemonium engine, ape hanger bars and more chrome than Google. Nicknamed ‘The Machine’, the bike sold for a fair price of $25,300 at Bonham’s in Las Vegas only last year. 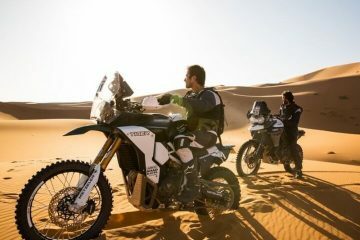 Though McGregor may be scaling down his personal collection, we’re hoping that doesn’t mean he’s lost all interest in motorbiking, with a rumoured follow-up to the Long Way Round series apparently in the works. 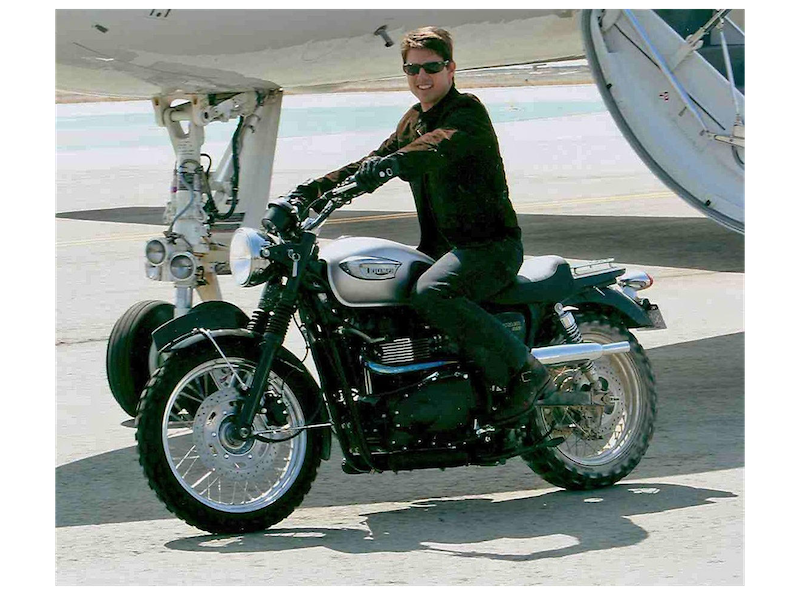 Tom Cruise’s 2006 Triumph Bonneville 900 Scrambler – $30,000 (£22,145) approx. The Mission: Impossible franchise has recently been hitting headlines with the latest instalment debatably up there with the best in the series. These two-hour movies are basically opportunities for Tom Cruise to try out new adrenaline sports or push his body to the absolute limit – he even broke his ankle whilst jumping across a building in London. Sold for reportedly close to $30,000, the bike appears in Mission: Impossible III and was customised by Triumph specifically for the film. 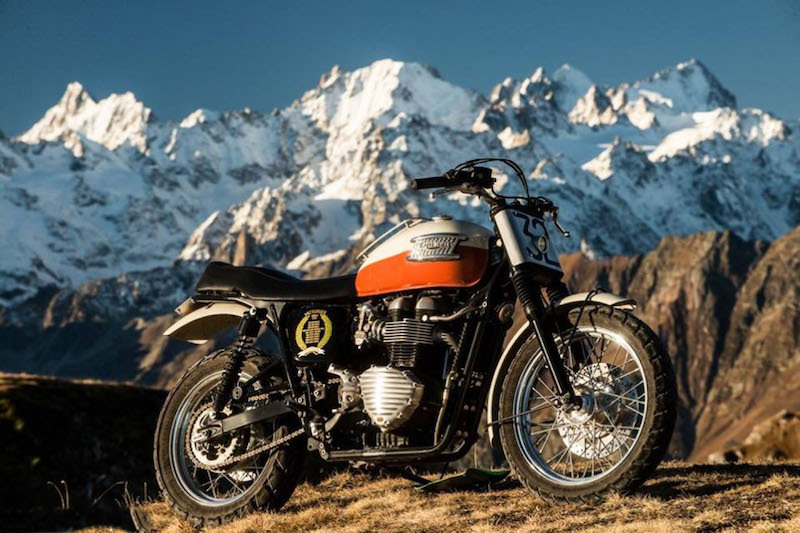 Furthermore, the Scrambler was a remake of the Steve McQueen bike used in The Great Escape, which also featured a custom paint job, fenders, seat unit, knobbly tires and a hand-made exhaust system. Although this particular motorcycle doesn’t have that much screen time, when compared to the extended motorbike chases in Mission: Impossible II and Mission: Impossible – Rogue Nation, Ethan Hunt (Cruise’s character) does rock up on the bike looking cool as a cucumber. Ride it like you stole it, and that’s exactly what Arnold Schwarzenegger did back in 1991’s Terminator 2: Judgement Day. There are few bikes as iconic as the 1991 Harley-Davidson Fat Boy. 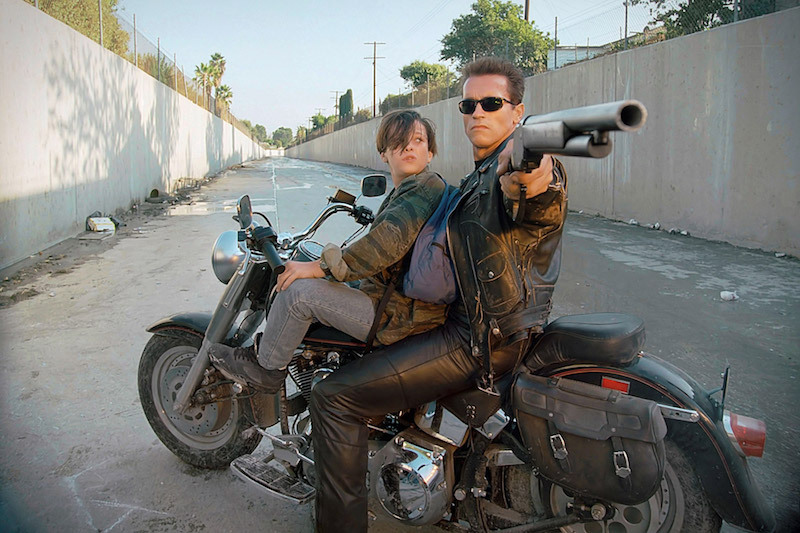 After the T-800 (played by Arnie) was sent back through time to prevent Robert Patrick’s menacing T-1000 from killing John Conner, Schwarzenegger arrived at a bike bar (naked, by the way), where he quickly took out the local renegades before making his exit on the Harley in a leather jacket, trousers and shades. Badass. Three of the bikes were used during filming, with one previously being restored and given to the Harley-Davidson Museum in Milwaukee. Expected to fetch around the $250,000 mark, the lot surpassed expectations, selling for just under half-a-million dollars. Even more crazy is that the bike had only amassed 392 miles. What is it with celebrities and Scramblers? 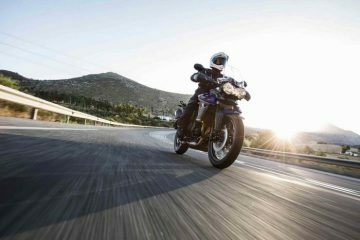 Whatever the case, Brad Pitt briefly dipped into the world of motorbikes, when he was gifted the special edition 2009 Triumph Bonneville Desert Scrambler by Ocean’s Eleven producer Jerry Weintraub. Supposedly, the bike was built with an engraved petrol cap to celebrate the star’s birthday too. 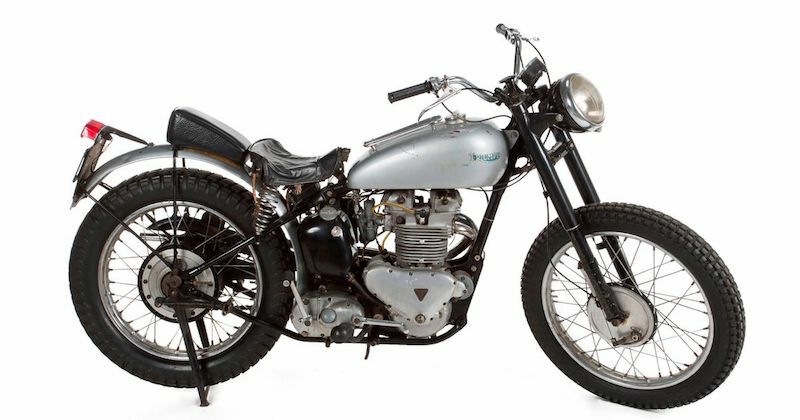 One of three built to commemorate the life of long-time Steve McQueen stunt double, Bud Ekins (yes, that famous jump), the bike was sold in February 2018 by a private company. 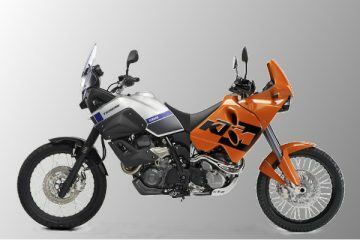 After an initial £20,000-30,000 estimation, Coys confirmed to ABR that the bike sold for £25,000 at the London Motorcycle Show. So, if you’re like us at ABR, I’m sure you’re amazed at some of the prices these celebrity bikes have sold for. 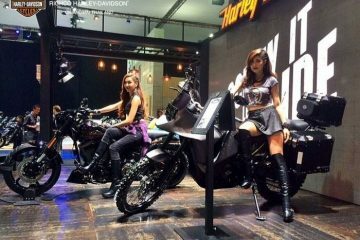 The other common factor, that I’m sure you will have quickly discovered, is that all these big names have a huge love for Triumphs and Harley-Davidsons. Who knew right? If reading this feature has given you the itch to for an auction, or eBay just isn’t cutting it for you, Bonhams international auction house has plenty of auctions throughout the year. Their latest is the Bonhams Autumn Stafford sale taking place at the Staffordshire County Showground from 13-14 October. Here you can expect over 450 different lots with a 1972 MV Agusta 750s being an early favourite, With locations in both the United Kingdom and United States, who knows what great deals you could find.